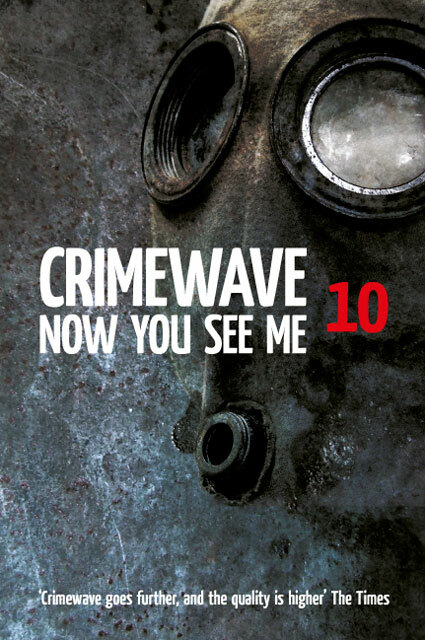 INTERACTION • View topic - Crimewave 10: Now You See Me OUT NOW! Crimewave 10: Now You See Me OUT NOW! Post subject: Crimewave 10: Now You See Me OUT NOW! ...in other words, if your subscription's up with this issue, please keep faith and renew! Same size as CW9: 160 pages of Demy paperback. Will keep you updated on exact publication dates etc. Comments welcome on this thread, even before you've read the book! Last edited by Andy on Thu Nov 18, 2010 2:16 pm, edited 2 times in total. That looks great. And the prospect of a new Simon Avery novella is so cool it could bring the winter on early. Thanks to David Gentry for the stunning cover art and to Pete Tennant for his expert proofreading. Crimewave 10: Now You See Me will be at press next week. Dare I say that this will be a good time to check the status of your subscriptions...? If you can't remember where you're to (and who would blame you!) please don't hesitate to PM or email me. Thanks for your patience and continued support of Crimewave – very important because like Lisa DuMond said on sfsite, 'There truly is no other magazine that brings you the kind of stories you see here'. CW10 is delivered (by van) to TTA Towers on the 11th September. (NB: Paul Meloy's Islington Crocodiles and Interzone 218 have exactly the same schedule.) Overseas subscriber and contributor copies will be dispatched immediately, but in the unlikely event that any of you are attending Fantasycon 19th–21st September and would like to pick up your copy from there, please let me know. Much more likely that UK subscribers and contributors will be attending Fantasycon so same applies, only more so. Very much looking forward to the new Crimewave....it looks great! Thanks Ellen, I hope you enjoy it! All subscriber and contributor copies are now in the post. Overseas copies should leave these shores on the 16th or 17th September, and it'd be very useful if you could let us know when and where your copy arrives. Please also use this thread for comments about the issue, conversations that might arise, generally liven this forum up a bit! For the first time we are making a new Crimewave available to buy on its own. The cover price is £8.99. Postage is free in the UK, overseas will have a little extra postage added. If it's your first time naturally we hope you'll go on to subscribe. You might even like to choose that option straight away, since it's £10 cheaper than the cover price. Click here to buy either. "People In Hell Want Ice and Water": Slipstream! Fantastic issue. The Joel Lane, Darren Speegle, Simon Avery, and Daniel Kaysen were the standouts for me; four very different stories, but quality across the board. I hope those plans to get Crimewave back on a 'regular and reliable schedule' are working out, though it's gotta be said, this issue was certainly worth the wait.